As a B2B Marketer, you spend a lot of your time coming up with new ways to reach the right prospect, at the right time, with the right message. Account-Based Marketing (ABM) is a tried-and-true strategy to help you do all three. By treating each account as a market of one, you can deepen your relationships with individuals at key accounts and ultimately increase revenue. 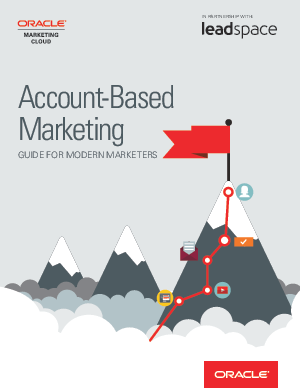 For more ways ABM can help you up your marketing game, download this eBook.